Last May, a woman claimed that her Amazon Echo taped a private conversation and forwarded it to someone she didn't know. Then fast forward to December 2018, a man asked for his data from Amazon – and they sent him 1,700 recordings of someone else. Fortunately, though, designer Bjørn Karmann has taken it upon himself to come up with a hack, protecting users' privacy. Introducing project Alias; which is an open-source 'parasite' to train custom wake-up names for smart home devices while disturbing their built-in microphone. Project Alias is designed to give users more control over their smart assistants, both when it comes to customisation and privacy. It's composed of a 3D-printed top layer, a mic array, raspberry pi, and two speakers. Alias sits atop the smart speaker like Amazon Alexa or Google Home, playfully made to look like a living organism that has taken over. Through an app, users can train Alias to react on a custom wake-word or sound, and once trained, Alias can take control over your home assistant. 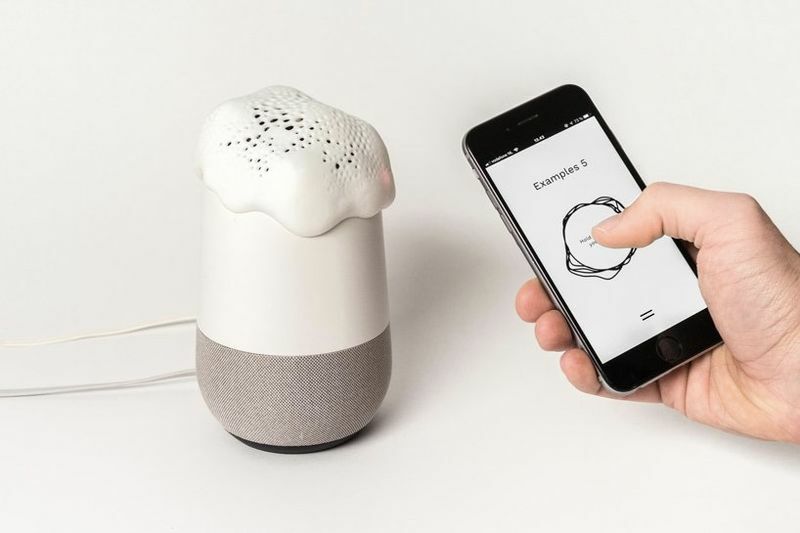 Equipped with speakers and a microphone, Alias is able to communicate and manipulate the home assistant when placed on top of it. When not in use, Alias makes sure the assistant is paralysed and unable to listen by feeding its' microphones with white noise. "We looked at how cordyceps fungus and viruses can appropriate and control insects to fulfil their own agendas and were inspired to create our own parasite for smart home systems", Karmann explains. "Therefore we started project Alias to demonstrate how maker-culture can be used to redefine our relationship with smart home technologies, by delegating more power from the designers to the end users of the products." You can learn more about project Alias by watching the hack, in action, down below. Easy-to-construct, Comfortable Living On Mars.